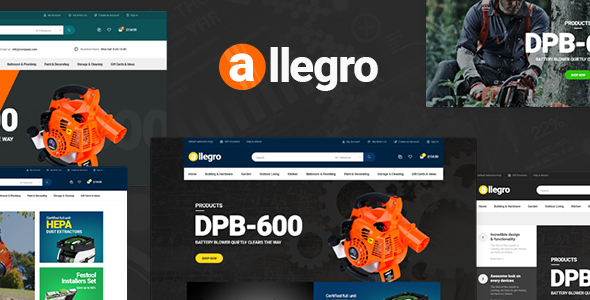 Pavothemes introduces new Opencart theme – Pav Allegro, an advanced Opencart theme designed for tools and equipment shop with professional design and ultimate core features. 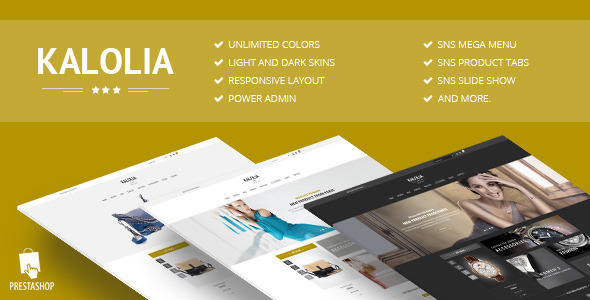 In details, the theme comes with 5 pre-made Home page layouts, built with stunning Opencart Drag and Drop Page Builder with 50+ widgets integration, support Megamenu, blog platform, layer slider module, megamenu builder and live theme editor. Forward with exciting color style in design is borned to bring new breath and happy color to your store. Forward has ideas and inspiration for all types of ecommerce stores, including: Fashion, Shoes, Jewelry, Watch, Hi-tech,...and more. Based on the latest bootstrap technology, this Magento theme its self prides its unrivaled responsiveness and mobile-friendliness. Pav BeeShop is flexible Resposnive Opencart theme for any business model: Fashion, Beauty, Furniture, etc with clean, modern and well structured design. With 4 pre-built sample sites, you have more choices for your start or build your store even better. It is fully responsive, built with Pav Framework 4 and Opencart Drag and Drop Page Builder. Pav Framework 4 comes with lots of options and tools to manage and customize your store: megamenu builder, theme settings, copyrights, etc. 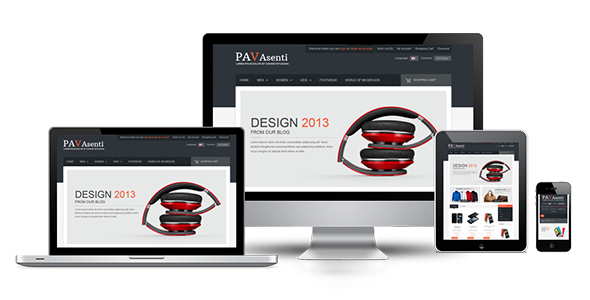 Pav Asenti Responsive Opencart Theme is designed especially for those store owners who are selling a Hightech product such as Mobile store, Audio store. 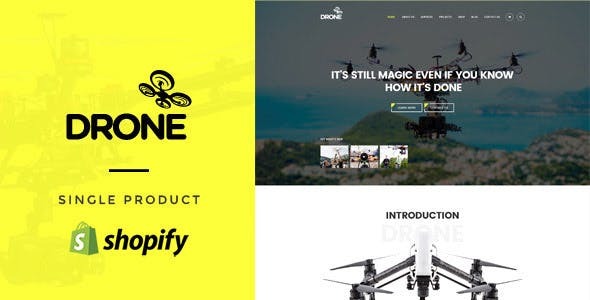 The professional design of this Responsive Opencart Theme makes it really versatile and suitable for selling a wide range of goods starting from home appliances and finishing with office supplies. Transformer Prestashop Theme is an elegant, powerful and fully-responsive PrestaShop template with a modern design. With the help of 50+ built-in PrestaShop modules, you can easily create a professional looking online PrestaShop store. 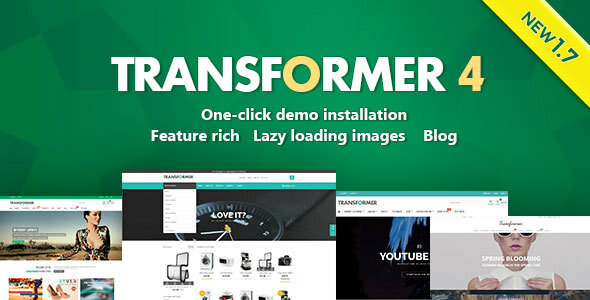 The Transformer PrestaShop Theme has a powerful theme editor which allows you to customize your PrestaShop theme layout and appearance any way you want. The Transformer design is well suited for any eCommerce store. including clothing stores, electronics stores, fashion stores, shoe stores, jewelry stores, furniture stores and boutiques. 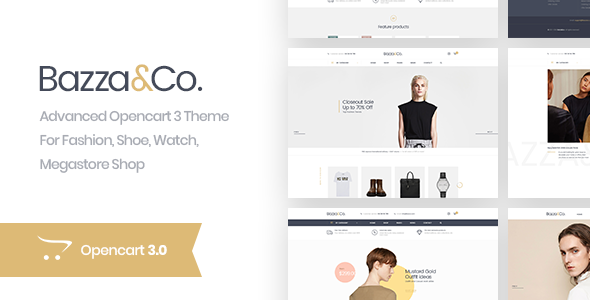 Debaco Responsive Opencart 3 theme is a wonderful theme with 4 homepages. This theme spend for provide all kitchen appliance dealers, home utility showrooms, gallery service centers, kitchen equipment stores, cookery system dealers, kitchen storehouses and others offering the same service a simple, quick and affordable way to have a website. 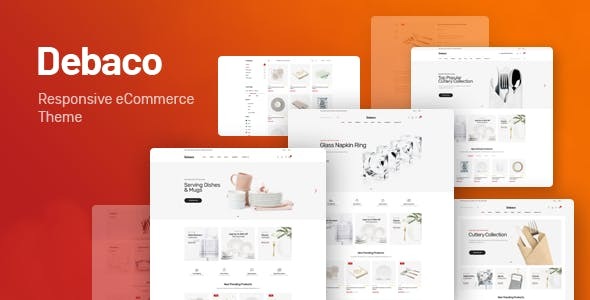 Debaco theme is totally responsive so it is completely adjustable for any devices (desktop, laptop, tablet, mobile phone) highly customizable Opencart theme. 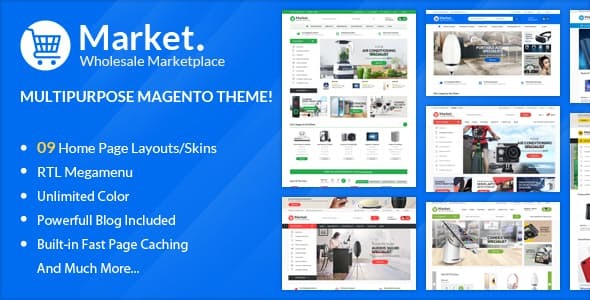 Market is a Premium Responsive Magento theme with extremely customizable admin settings. Suitable for every type of store. Great as a starting point for your custom projects. Perfect responsive multistore magento theme. Untimated Colors Power Admin. This theme includes 10+ extensions. On Home page you can quickly show Bestsellers, New, Featured, Random, Latest and Special products, customizable multi tabs, multi rows, grid, slider easy config in Admin Panel.